Yahya bin Said al Jabri, Chairman of the Special Economic Zone Authority in Al Duqm (SEZAD) said that the area, which is one of the biggest free economic zones in the Middle East, will attract huge foreign investments for the refineries and petrochemicals projects. In a special statement on the occasion of the Blessed Renaissance Day, July 23, he affirmed that the Authority along with other companies operating in Al Duqm seeks to turn the Sultanate�s aspirations into reality and make the area one of the main sources for public revenues and a major contributor to diversifying sources of the national economy and generating job opportunities. He pointed out that the government as of now invested about RO 1.750 billion to establish the infrastructure for SEZAD. 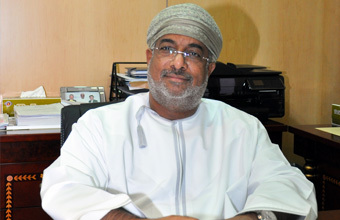 Omantel and Nawras also built a modern communication system. He added that the government investment in the area will increase gradually with the implementation of many other projects as per the phases of development for the area, which extends up to 2020. He explained that the field is now open for more investments by the local and foreign investors. He further said the Oil Refinery is now in the consultancy works for the detailed design. As per the period for the project, the refinery work is expected to start in 2015 and to be ready by 2018. He pointed out that the project aims at enhancing the Sultanate�s status in the field of petrochemical industries and create more job opportunities for Omanis. In addition to the economic benefits that will be generated by the zone, the aim is also to ensure a regional development for the Governorate of Al Wusta with the Wilayat of Al Duqm as the core for many economic activities. This will bring many benefits to the other wilayats in the Governorate of Al Wusta and will contribute to generating job opportunities for the Al Wusta residents. Al Jabri voiced his satisfaction over the progress made to date in the field of transferring the affiliation of the projects at SEZAD from the governmental agencies to the Authority. He added that the work team in charge of this issue has made steady strides in this field. "We have started developing the legal framework to change the agreements in the name of the Authority, which will offer the remainder package of Al Duqm Port through the internal tender committee at the Authority," he said. He further said the Authority is now focusing on preparing the industrial area to receive small, medium and heavy industries by providing the required infrastructure and other industry related services. "The population is expected to reach 70,000 during the upcoming years. This will create a need for many light industries, such as carpentry, ironmonger, auto-repair and aluminium workshops. The citizens of the Al Wusta Governorate may invest in such activities as per the land usufruct agreement," he said.